Registration for the Youth Baseball League starts this month? Happy Holidays and a Joyous New Year to you and to our park staff from the Friends of Noe Valley Recreation Center! Looking back on 2012, FNVRC is proud to say our range of sponsored programs, events and news has expanded considerably since we started in 2005. 1. Created and delivered monthly e-newsletters to nearly 800 subscribers---thank you for signing up and staying informed! We are a volunteer non-profit group that advocates for Upper Noe Recreation Center, and we can’t do it without your support. Please consider making a tax-deductible donation to our 501(c)3 so we may help keep Upper Noe the fabulous neighborhood resource it is. Winter classes start the week of Jan. 8, and Upper Noe's selection ranges from Boot Camp for adults to Baby and Me for one-year-olds. Youth theater, senior tango, tennis for all and Bow Wow Baking---we’ve got your age and species covered. See the list of classes (listed by day and including descriptions) on our website. 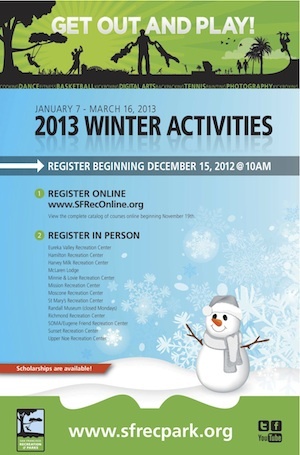 Registration begins Saturday, Dec. 15, at 10 a.m. and can be done online or at any recreation center for any class. Click here to view the entire winter catalog. Please note: Bow Wow Baking was left out of the catalog. It will be offered at Upper Noe on Saturdays from 10:30 a.m. to noon. 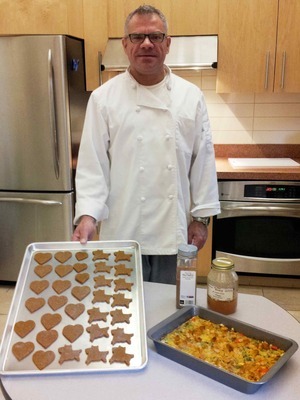 FNVRC’s Chris Faust reviews John Rutheford’s Bow Wow Baking class. The recipes in this course use only high-quality, healthy ingredients. The results are nutritious and delicious, fit for human consumption even but lacking in excessive salt, sugars and spices, and ingredients like onions, that aren't appropriate for dogs. It demonstrates that good foods don't have to be expensive or even time-consuming. Everyone goes home with meals and treats. The next two Saturdays (Dec 8 and 15, 10:30 a.m. to noon) will focus on making Holiday treats and gifts! Drop in and check it out. Pictured: Low Fat Rice and Egg Pie (doggie quiche) and Peanut Butter Bones. Say you’re new to SF or visitng a far-flung neighborhood, and you want to find a dog park or a park bathroom or a playground. Well---there’s an app for that! 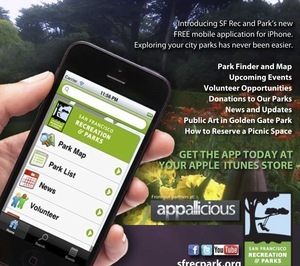 Download the City of San Francisco Recreation and Parks Official Mobile App, and you can get park news, find volunteer opportunities and submit feedback, too. The app is a pilot and is only available to iPhone users at present, but plans to expand it are already afoot. Future versions will allow you to submit permit applications to rent picnic areas, clubhouses and recreation centers as well as buy tickets to events like Eggstravaganza and Scaregrove. For more information, visit the iTunes store. The 2013 season of the San Francisco Youth Baseball League starts in March 2013, and registration begins Thursday, Dec. 6, at 10 a.m. Fees are $80 per player, which includes coaching, uniforms, practice and games. There are seven divisions, starting with t-ball for ages 5 to 6 and coach pitch for ages 5 to 7. The rest of the divisions are kid-pitched: ages 9 to 10, 11 to 12 and 13 to 14. 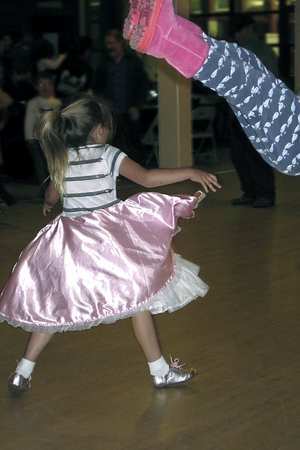 For more information, call League Coordinator Tim Roff at 415-242-1070 or visit www.sfreconline.org. 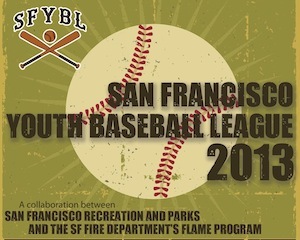 The league is hosted in conjunction with the San Francisco Fire Department’s FLAME program, which hosts athletic leagues, a boxing program and sponsors free fishing trips for Bay Area youth. 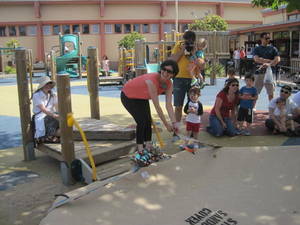 Our Nov. 10 Ice Cream ‘N Swing fundraiser for Junipero Serra netted the school more than $500. JP and the Rhythm Chasers had everyone’s toes tapping! Thank you to all the volunteers and dancers who made the afternoon such a joy. 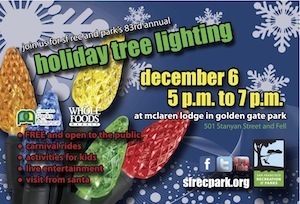 The Recreation and Parks Department will host its 83rd annual holiday tree lighting Thursday, Dec. 6, from 5 to 7 p.m. at McLaren Lodge in Golden Gate Park, 501 Stanyon at Fell Street. The event features free carnival rides, arts and crafts, live entertainment and a visit from Santa. For more information, visit www.sfrecpark.org. Last month it was a family affair for the Ladybug Gardeners when lead Ladybug Joan Lionberger was joined by her son Troy, a UC Berkeley research fellow and two of his fellow Cal post-docs. It took the three students less than 30 minutes to weed the entire area around the tennis court, Lionberger said. Troy later joined his mother, FNVRC’s Kate Haug, and neighbor Krist and her two daughters to weed the native plants on the Sanchez Street side of the building, an endeavor which took two hours. This month Lionberger hopes to plant bulbs Saturday, Dec. 8. Looking forward, she hopes to rally some volunteers for the second Saturdays in February and March. The city will continue to provide a staff member to help the Ladybugs because more than six people showed up last time, but more neighbors are needed, she said. “If it wasn't for the guys from Berkeley, the Ladybug Gardeners would have to close down for good,” she said. For more information, contact info@noevalleyreccenter.com. Month-long extravaganza of music, holiday events and merchant specials. See detailed calendar here. Bounce around, build the menorah and grab a latke---this year's Chanukah celebration just got bigger.